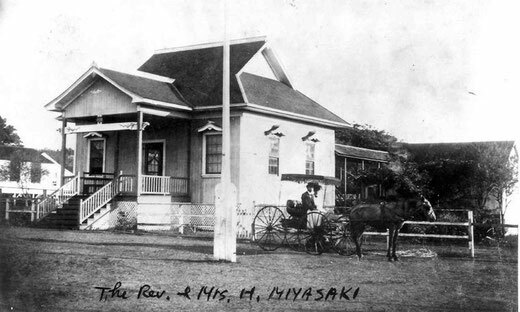 The Reverend and Mrs. Miyazaki in 1905. 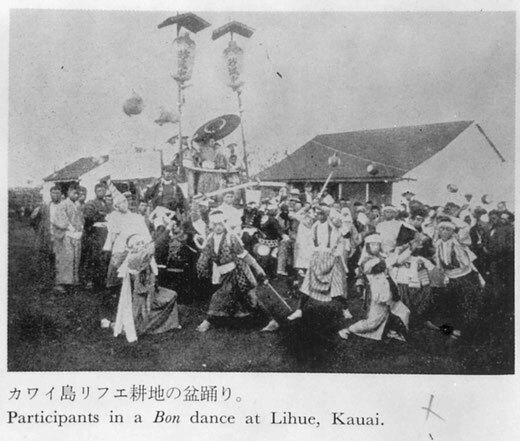 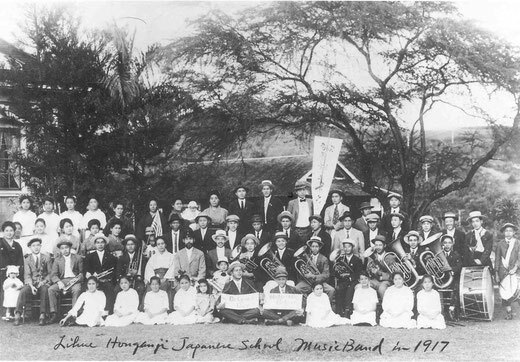 Lihu‘e Hongwanji Japanese School Music Band in 1917. 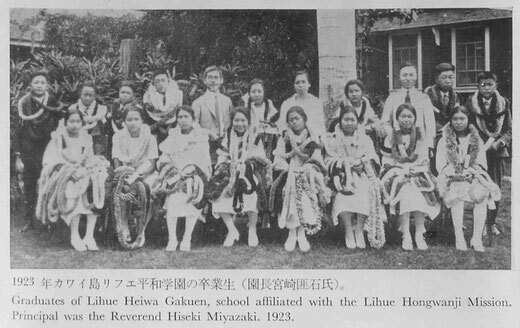 Lihu‘e Heiwa Gakuen School in 1923. 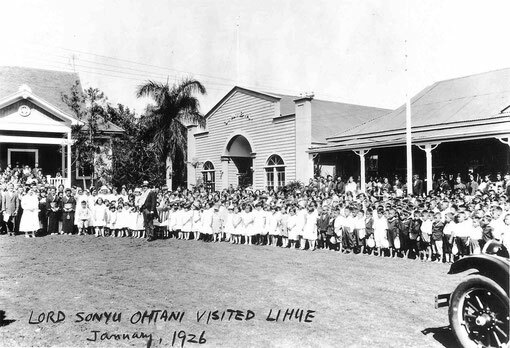 Visit by Lord Sonyu Ohtani in January 1926. 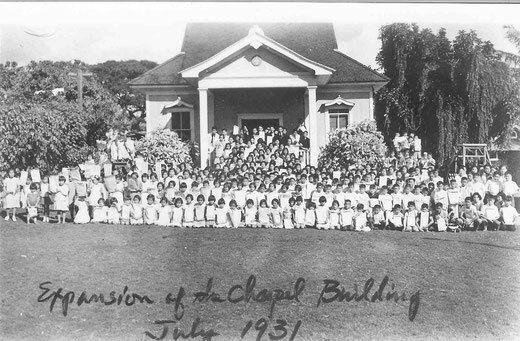 Expansion of Temple in 1931.